Genk and Malmo face each other at Luminus Arena in what is expected to be one of the most entertaining games of Thursday’s program. Genk booked their place in the Europa League group stages by rolling over Brondby and we predict that the Belgians are going to stick to their attacking style of play in the double-header against Malmo. Genk recorded a win in each of their previous three games in the Europa League, which is certainly giving fans a reason for optimism ahead of the visit of Malmo. The Swedish side, on the other hand, produce much better displays at home than on the travels and that is probably the main reason why we believe the visitors are going to return home empty-handed from the trip to Belgium. A man to watch in the home team will be Tanzania international Mbwana Samatta, who was scoring goals for fun in the qualifiers. Born in Dar Es Salaam on December 23, 1992, Mbwana Samatta is a Tanzania striker who plays for Genk in the Belgian Jupiler League. Samatta began his youth career at African Lyon and he played his first game at senior level for Simba SC, the club from his homeland. In 2011 he moved to TP Mazembe and after scoring 60 goals in 103 league games for the club, the Tanzania international signed a four-and-a-half-year deal with Genk. On August 23, 2018 Samatta scored a hat-trick against Brondby in the Europa League. Speaking of his international debut, Samatta made his Tanzania debut in March, 2011 in a 2-1 win over Central African Republic. It has to be noted that the Genk attacker was named African Player of the Year (based in Africa) in 2015. His main position is centre-forward, but is capable of playing as a winger as well. His contract with Genk should expire on June 30, 2020. 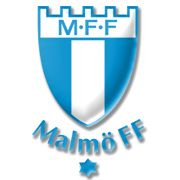 Founded on February 24, 1910, Malmo are a Swedish team that compete in Allsvenskan league. The Blues welcome their rivals at Stadion, Malmo, the venue which was opened in April, 2009. It is important to note that the stadium can hold up to 22,500 supporters of which 18,000 are seated. Malmo are the most successful Swedish side, with the team winning their 23rd domestic trophy in 2017. The Blues finished the season seven points clear of AIK, scoring 63 goals and conceding 27 in the process. Speaking of the club’s European success, Malmo did well to make it to the European Cup final in the 1978/1979 season, but they eventually failed to win the trophy. The Swedish side were beaten by Nottingham Forest in the title game (0-1), with Trevor John Francis scoring the only goal of the match. Malmo wear sky-blue shirts and white shorts when playing at home, whereas their away colour is black.